The attacking midfielder has scored five goals in seven games with the Lights after being cut by Major League Soccer’s LA Galaxy last fall. Raul Mendiola was once one of the U.S.’s best young players. Former U.S. national team coach Bruce Arena praised him. European clubs Manchester City and Sevilla tried him out. So much promise was packed into his 5-foot-8-inch frame. But his breakthrough never came. He spent four years with the LA Galaxy, but was cut last fall by the Major League Soccer club. 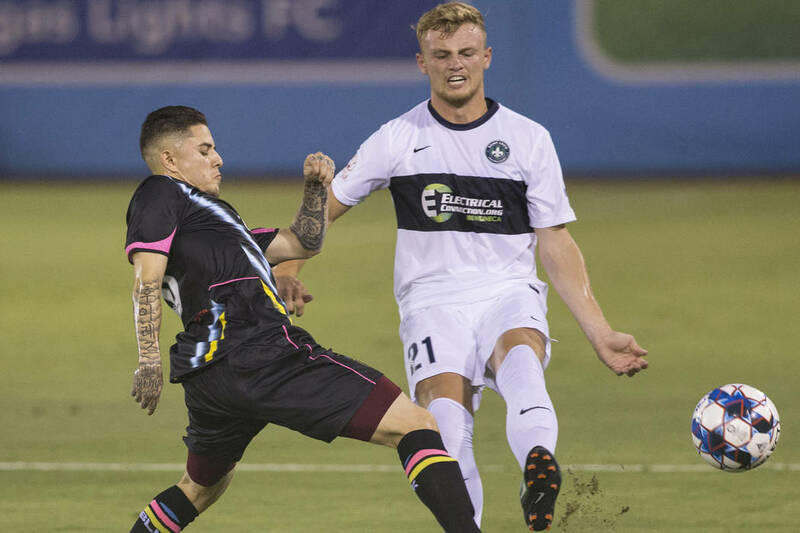 He had to wait until May for his second chance, when Lights FC coach Isidro Sanchez called and asked him to be at practice the next day. Mendiola has taken advantage of the opportunity, scoring five goals in seven games and morphing into one of the team’s deadliest attackers. It’s been a chance for the forward/midfielder to flash his potential. Mendiola, 24, was born in Ciudad Juarez, Mexico, but grew up in San Bernardino, California, after moving there at age “7 or 8.” His affection for the city is commemorated by a tattoo on his left arm, but it was a tough environment. Twenty-nine percent of San Bernardino’s residents live below the poverty line, according to the city’s website. The sport became his escape, and soon his star began to rise. He turned heads with the Californian club Arsenal FC and was named the U-16 Development Academy Player of the Year after the 2009-10 and 2010-11 seasons. Eventually the Galaxy took notice. Mendiola joined the team’s academy in 2011 and three years later signed his first contract. Mendiola made the hourlong commute from San Bernardino to the Galaxy’s training grounds every day during his early time at the academy, but that changed when he met assistant athletic trainer Kurt Andrews in 2012. Andrews offered Mendiola a spot on his couch at his one-bedroom apartment in Irvine, California, beginning a yearslong living arrangement that got him out of his troubled hometown. While moving from his hometown helped Mendiola develop off the field, things became tougher on it. His career with the Galaxy was largely spent bouncing between the first and second team, and consistency was hard to come by. U.S. national team star Landon Donovan stumped for Mendiola to get more playing time after coaching him in an exhibition game in 2016, but little changed. It didn’t help that the Galaxy went through a period of instability when Mendiola was there, going through three head coaches. 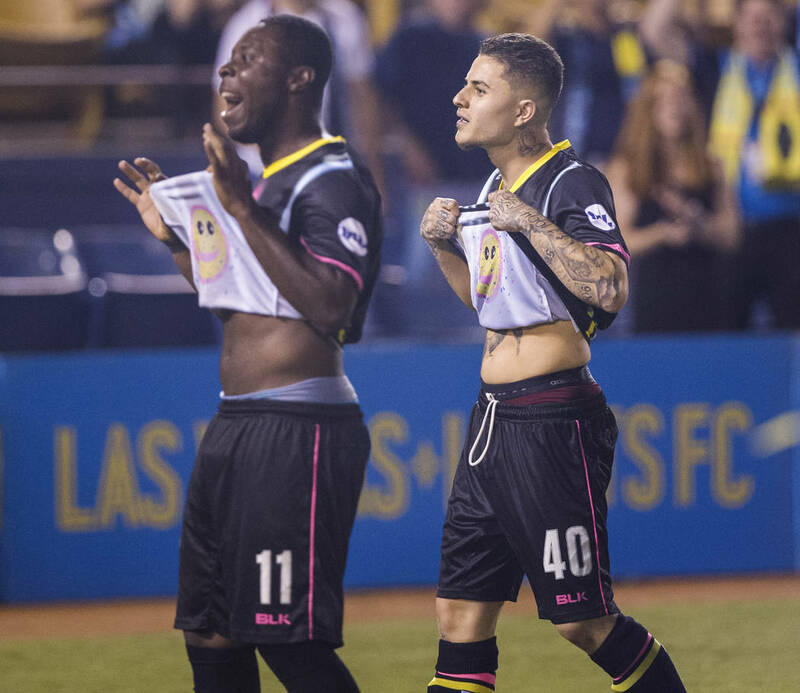 The Galaxy’s latest overhaul left Mendiola adrift in November, without a team for the first time since he was a kid. He spent a lot of time reflecting before Sanchez called, deciding to try a steadier approach when his next opportunity came. His impact on the Lights was instant, as he recorded an assist off the bench during his June 2 debut in the United Soccer League. His speed on the outside breaks down defenses, and his small frame disguises a feistiness that has caught plenty of teams off guard. Mendiola has made five starts for the Lights, scoring or drawing a penalty kick in four of them. He also had the first hat trick in club history July 11 at OKC Energy FC, the first of his career. Reaching new heights after a career low hasn’t surprised those around Mendiola. He’s always had the talent and desire.